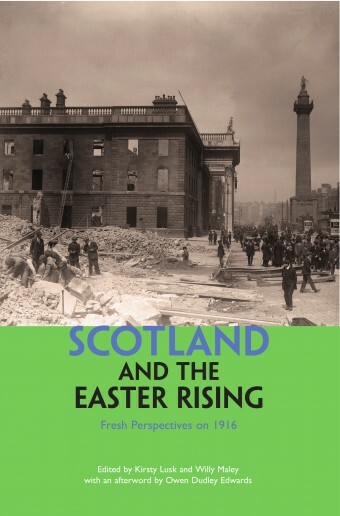 Scotland and the Easter Rising, is a new collection by Luath Press edited by Kirsty Lusk and Willy Maley. It brings together writers and journalists to reflect on the part played by Scotland in the events of 1916. The collection launches at Celtic Connections in association with Aye Write! Here is Jim Kelman’s contributions. Radical history remains marginalised within our culture. Discoveries we make come about through word of mouth and other flukes. “What actually happened?” “Where did we come from?” “Who are we?” We root about and dig away on our own. What we find is that a great deal of material exists, and it is good material. But it is not in the public domain. We just do not know about it. Essential strands of our history are not generally accessed through popular media and ordinary educational resources. We contend with sectarianism, racism and assorted prejudice; historical misrepresentation, disinformation, falsification, and occasional outright lies, alongside everyday British State propaganda. 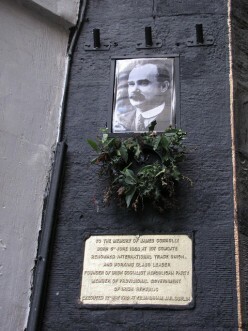 As a Protestant boy growing up in Glasgow the name of James Connolly meant little to me. Connolly was an Irish name anyway, or Catholic. But Catholics were Irish, if not by birth. I became aware he was an Irish leader who met an early death fighting for Ireland. Later again I discovered he was Scottish-born, that he lived as an adult in Scotland, had Scottish friends and comrades with whom he remained in contact throughout his lifetime. I edited and introduced the autobiography of the Clydeside activist Hugh Savage. In his formative years Hugh was a stalwart of the Communist Party of Great Britain [CPGB]; one of a group of young people befriended by Harry McShane. In the introduction I wanted to give a background to this and a physical presence to a few of the names to whom Hugh referred, from the 1880s through the 1914-18 war and the period following the formation of the CPGB. The name of James Connolly appeared to great effect. I came to realize he was of primary importance, and that his life is at the heart of the radical history of Britain and Ireland. Here in Scotland his presence in radical history is not simply assured, it is seminal by which I mean that when we focus on him we discover the lives of figures crucial to the period. In discovering the lives we gain insight into the people themselves, into their thought as well as action. But for Connolly’s enduring friendship with John Carstairs Matheson our knowledge of Matheson’s contribution would have been scant, and knowledge of its significance perhaps lost altogether. Yet during his lifetime he was considered amongst the foremost Marxian scholars in Britain and Ireland. Alongside William Nairn and Connolly three of the outstanding Marxian theorists of the period were active north of the border. This when among their friends and comrades were key figures Keir Hardie, R B Cunninghame Graham, John Murdoch, David Lowe, George S Yates, Donald Macrae, Bruce Glazier, Tom Johnston and John Wheatley; and a younger generation that included John Maclean, Helen Crawfurd, Guy Aldred, John S Clarke, Willie Paul, Neil Maclean and Arthur MacManus. a General Council is infallible in doctrinal decisions… Yet we deny to Pope and council united any power to interfere with one title of our political rights, as firmly as we deny the power of interfering with one title of our spiritual rights to the President and the Congress. We will obey each in its proper place, we will resist any encroachment by one upon the right of the other. Many of his Scottish comrades, whether Catholic or Protestant, would have agreed. If one was to replace “Catholic” with “Christian” then a few more might have agreed. Most were aware of the issue and for a majority there was no issue. This may have been influenced by their reading of Marx and Engels but it had little to do with the veracity of Marxism. There was the “natural” world and there was the “spiritual” world. Macfarlane was acquainted with Marx and Engels personally. Her translation of the Communist Manifesto was the first in English, published in 1850. Her expression of the above is said to have been ‘unique’ in Britain and Ireland at that time but this ignores or fails to grasp the significance of the Scottish contribution. She had little difficulty in resolving the supposed incompatibility of radical politics and Christianity, and she was not alone north of the border. The influence of Hegel may be paramount in the above quotation but a line is traced also through the Scottish intellectual tradition. The contribution of George Buchanan (1506-1582) is a place to begin: “Among Scotsmen…a cosmopolitan; among the Humanists, a modern who anticipated revolution.”  His most influential work of non-fiction argued in favour of limited regal powers and the peoples’ right to dispose of a bad king. “God is the Supreme King whom kings must obey. If kings depart from God, authority departs from them.”  These arguments were used by the founder members of the American Constitution and remained first principles of the democratic movement. Aspects of Buchanan’s thought are integral within the radical tradition: skepticism, the recognition that people have rights; that a separation of powers may exist between the people and the king; that a separation does exist between on the one hand the people and the king, and on the other: God the Supreme. Buchanan tutored Michel de Montaigne whose intellectual influence was felt throughout Europe, acknowledged by Rene Descartes, skeptic supreme. Skepticism is dangerous by virtue of what it is: a challenge to authority. It may be the authority of a king, of a government; the right of one person, or group of people, to dictate to another. The challenge might be to the authority of a system, the authority of the Law, or the authority of one Church as opposed to another. Most of those who developed philosophies and belief-systems prior to Descartes found the place of God in them. They had to, and not as a duty. It was more basic than that. They had to find the place of God because He exists. God was already present. The idea that He may not have existed was inconceivable. Descartes went on to provide a proof of God’s existence. But why should God have required a proof? How could the burden of proof be on God? “Let us suppose for the sake of argument that God does not exist” may be judged anathema. A scientist or thinker who begins from such an assumption is the enemy of religious fundamentalism and most religious authorities. The failure to account for God’s existence is tantamount to denial. The failure to assume His existence is a denial. Any thinker who begins by questioning God’s existence is a charlatan, a non-believer, an infidel, an atheist. Such skepticism is not just unforgiveable but blasphemy. The history of religious persecution is full of examples but so too the history of ideas. Buchanan appeared in front of the Inquisition. Descartes thought it safer to leave France to avoid the fate suffered by Galileo. That God’s existence might be “unnecessary” was inconceivable. The presence of God is everywhere and everything. Logicians, mathematicians and scientists who try to create “perfect systems” are doomed to failure. Only God is perfect. Only God is complete. The people and the king are one thing, God Supreme is another. Here in the “natural world” tyrannies exist. The ruling class owns the State and are at liberty to do what they like. Unless stopped by the Law. But the Law is their own invention; amended and devised by the ruling class for their own protection. Look to the natural world for answers but be warned on the dangers. No system can “explain everything”. God alone is the explanation. “Incompleteness” and “imperfection” are characteristics of humankind. We are all less than perfect, we are all sinners. The affairs of people and kings belong to “this world”; the affairs of God are beyond reach. Any product of human thought must contain “a space”. Any human receptacle, such as a brain or a mind, will contain “space for the space”. For Christians and others who hold religious beliefs this “space” is of God, and “the space for the space” is also of God. But problems continue to arise: How do we know things we have never experienced? If we are obliged to stay within the “natural world” how do we account for “non-natural matters”? Things exist in the “inner world” that have no existence in the “natural world”. Never mind “the true nature of God”, what about the true nature of “mathematical truths”? Economic systems and political truths may be tested and verified in the world we confront on a daily basis, the world where we meet the neighbours and sign on as unemployed but how do we verify “inner truths”? Where do we test them? Can we test a spiritual truth in the natural world? How do we recognise “truth”? Is truth beyond our grasp? What about “beauty” and “goodness”? Can they exist in the “real world”? Perhaps not. This would explain the existence of hypocrisy, greed, the abuse of power. It would explain also why certain horrors appear necessary. Rich people remain rich through the suffering of others. The suffering is necessary. People retreat from the “outer world” into their own “inner world” that they might endure the suffering of other people, stoically. Political principles clash with spiritual tenets; spiritual principles with political tenets. Liberty, democracy, universal suffrage are fundamental ideas but where did they “belong”, the “outer world” or the “inner world; the natural world or the spiritual world? How about religious and intellectual liberties such as freedom of speech, freedom of thought and freedom of expression. Should they exist in “real life”? Are they to be treated as “spiritual” or “material”? Newtonian mechanics exercised a tremendous influence in Scotland as elsewhere in Europe. People wished to bring the rigor of this into their formulations of the “inner” as well as “outer” worlds; perhaps “natural laws” might govern areas other than the purely “physical”: what about the inner workings of men and women? The concern becomes not the spiritual world, nor the necessity of God’s existence, but that there is more to life than the “natural world” and what we learn and experience from within it. Certain “inner truths” appear to hold true when applied to the “outer” world; “inner truths” are discovered, or perhaps revealed, by our application of bodily-things in the material world. Science helps us discover “deeper” truths, “inner truths”. Individuals intuit illogicalities within belief-systems and perhaps amend them, or search for deeper consistencies. Logical distinctions come to provide a sort of theoretical basis for new sects to arise within particular religions, for new ideologies to split from orthodoxy, for the development of science. Are we stuck with “separate worlds” demanding separate sets of tools and methodology. Or are these worlds compatible? Another difficulty is “precedence”. Politics and religion go hand in hand for some, but others say “hand in glove” is more fitting: humanity the hand and God the glove. The “spiritual” world is “of God” and thus greater than the “natural” world, the world of human beings. For others the “spiritual world” is the hand and the “material” the glove. People can believe whatever they want to believe, but keep it under lock and key. Your “inner” world is your business. Spiritual beliefs are all well and good but cannot be allowed to interfere with the world of human affairs: to that extent the “spiritual” is redundant or irrelevant, and can even be consigned to oblivion. Incompleteness Theorems [are] among the most significant achievements in logic since, perhaps, those of Aristotle touch[ing] every field of mathematical logic… Gödel formulated and defended mathematical Platonism, involving the view that mathematics is a descriptive science, and that the concept of mathematical truth is an objective one. If people are one thing and God another, how can we ever know Him? Perhaps never. Our own “imperfection” remains. We are never “complete”. We will come to know what we need to know. God has His own way of doing it. Perhaps he gives us knowledge by some other method. But perhaps the two can be reconciled. We discover knowledge of God by observing the world about us but also by searching inside ourselves. In both instances this knowledge is revealed to us by God Himself. The “outer” and “inner” worlds are compatible. They have to be. Our knowledge is of God and belongs to us through Him. Whether by revelation or by our knowledge of the “natural” world is beside the point, it is only through God that we come to know of it. It is difficult to exaggerate either his prominence or the regard in which he was held during his lifetime. When James and Lillie Connolly married they came to live at 22 West Port and there is no question that his name and reputation would have survived. Just along the road from where he lived the Reverend Glasse preached at Old Greyfriars Parish Kirk, the friend Morris referred to earlier. With Eleanor Marx, Edward Aveling and others, following their split from Social Democratic Federation [SDF], Morris had founded the Socialist League, “[advocating] the principles of Revolutionary International Socialism”  and was home to a variety of Christian Socialists, anti-Parliamentarian Socialists, Marxists and Anarchists; diverse “impossibilists” but very few “reformists”. Dr Glasse organised talks and meetings and featured speakers included “Andreas Scheu, Leo Melliet, Lawrence Gronlund … Prince Kropotkin, Stepniak, Henry George, and Edward Carpenter…” Connolly and his brother John attended these talks and meetings and were acquainted with the Rev Glasse, well versed in the so-called “clash” between Christianity and Socialism. Morris’ position held true for many radicals. For others it was not enough. The poor had been robbed by the rich for centuries, their own families among them: Connolly, Nairn, Keir Hardie, Wheatley, Bruce Glasier and other activists had grown up in desperate hardship. Something more than the most basic knowledge of the fact was required. 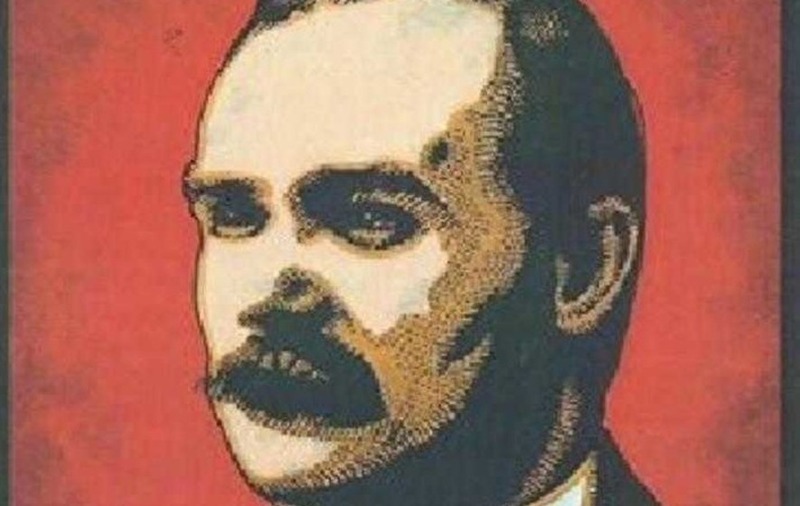 This was not enough for Connolly, as with others of his generation in Scotland, there were ways into these ideas that seemed to demand exploration and the attempt to work things out for yourself. It was not enough just to “know”. When we focus on the life and times of James Connolly here in Scotland we find a general intellectual integrity among his friends and comrades and, during their early years especially, a duty to the article of faith, whether the faith was religious or not. Most of them were punished by the State, some severely, enduring periods of imprisonment, suffering physical torture through force-feeding and excessive force, and some died young. Those who seek to raise doubts in regard to his integrity will have to live with the fact that Connolly was a good man and he was an honest man and, like countless others, was murdered by due process of the British State acting in a manner typical of any other tyranny. Born up a Close: Memoirs of a Brigton Boy (Glendaruel: Argyll Publishing, 2007). In 1951-52 he and others resigned the Party alongside McShane. This was some years before the Hungarian revolution. See the Meek essay cited below, pp. 1, 2. See “KARL MARX” by Chris Matthew Sciabarra for an introduction, http://www.nyu.edu/projects/sciabarra/essays/ieesmarx.htm Sciabarra takes this reference directly from a brilliant little essay by Ronald L Meek: The Scottish Contribution to Marxist Sociology [reprinted from Democracy and the Labour Movement, Lawrence & Wishart 1955]. Labour, Nationality and Religion, The Harp Library, Dublin 1910. See p32 James Connolly: Selected Writings, edited by Peter Berresford Ellis. Available generally, published originally in 1910. See Thomas Brown in his preface to the Annals of the Disruption (Edinburgh: MacNiven & Wallace, 1893). For example, the first Scottish branch of the Social Democrat Federation, branches of the Labour Church; the Scottish Land Restoration League; the Scottish Labour Party itself. See p91 Donald E Meek’s essay “Preaching the Land Gospel, The Reverend Donald MacCallum [1849-1929] in Skye, Tiree and Lochs, Lewis” which is in the Recovering from the Clearances collection, edited by Ewan A Cameron (The Islands Book Trust, 2013). See pamphlet The Radical Revolt: A Description of the Glasgow Rising in 1820, the March and Battle of Bonnymuir: written by Andrew Hardie (secretly) in Prison and Smuggled out (Published by P Walsh, Rutherglen). She was the first translator into English of the philosophical work of Hegel, which “historians of philosophy have ignored.” For further information on Helen Macfarlane begin from https://en.wikipedia.org/wiki/Helen_Macfarlane#cite_note-7]. p210 George Buchanan: Glasgow Quartercentenary Studies 1906 [James Maclehose & Sons, Glasgow 1907] see T D Robb’s essay, Sixteenth-Century Humanism as illustrated by the Life and Work of George Buchanan. Although the obelisk to Buchanan’s memory is situated in Killearn, he is thought to have “first saw the light of day” a couple of miles distant, in a cottage “near the bank of the little winding river Blane,”. See pxi-xii of the Introduction. The cottage was close to the the home of Sir Alexander Lawrie, known as The Moss, Dumgoyne; and it is possible Rennie Mackintosh had a hand in an extension to the building. The place was knocked down in the 1960s. Beyond Dumgoyne Hill the road forks left to Aberfoyle and the traveller passes, almost immediately, through the tiny village of Dumgoyne. He also tutored both Mary Queen of Scots and her son James VI [Ist of the United Kingdom]. On Thomas Reid, see http://plato.stanford.edu/entries/reid/ for a good introduction to this major Scottish philosopher. In Germany Immanuel Kant led the challenge; others thought that through Hume the existence of an unknowable God might exist, one utterly remote from humanity. See James Connolly’s opening lines of his Foreword. See https://en.wikipedia.org/wiki/Hugh_Miller for an entry into the difficulties faced by such as Hugh Miller. pp30-31 for more detail on this in All for the Cause: Willie Nairn 1856-1902, Stonebreaker Philosopher Marxist, by Hugh Savage and Les Forster. See p11 All for the Cause: Willie Nairn 1856-1902 Stonebreaker, Philosopher, Marxist written by Hugh Savage and Les Forster (Glasgow: Clydeside Press, 1991). Oorganised by David Lowe, see p98 of his Souvenirs if Scottish Labour [W & R Holmes, Glasgow 1919]. p27 James Larkin: Lion of the Fold, edited Donal Nevin [Gill & Macmillan 1998]. Independence from the British state has never been easy for any colony and Scotland will be no different. However, what we do know from history, is that the British state is always the loser in the end. That shud gie us confidence. Braw erticle! I’m sorry but Scotland is different; Scotland voted to stay as part of the British state. To suggest, that Scotland has ‘colonial’ status is delusional. Scotland is a colony in all but name! Perhaps a heading for a future Bella article? We are ruled from London – a city in another country. Our vote will have little impact on the government we receive and the policies there of, including going to war, funding economic policies to eradicate poverty and inequality or our relationship with the rest of the world. We receive media and state broadcasting that is tailored to another country, i.e. England. Our broadcasters tell us what others think of us rather than ourselves telling ourselves what we think. The media including the state broadcaster won the day in 2014 with lies and misinformation. The Scottish establishment / place men, slavishly unionist to the core, inculcated with England’s royal family and ruling elite. What investigation or evaluation has been undertaken to see what these people do, contribute or impact? None, how do we get rid of them, we can’t, but it is pretty obvious why they are there. As a small country we have a different view of the world compared to our larger neighbour, but the state is geared up to telling we don’t and having differing views is not healthy and must be stamped out. We are prevented from rejoicing when a national hero or team materialises, e.g. homecoming of Stephen Roche Vs Andy Murray, our football mocked / English football promoted over Scottish football in Scotland or our Curling Team, denied opportunity to participate in the Olympics. Being in a union ensures our sporting potential is never realised, publicised or acknowledged. The Irish (or at least 3/4 of them) on the other hand, free of the colonialist yoke can make up their own mind free of London interference. The Irish state will tell the Irish people wants to tell them, but it will be THEIR state and not another state who has a vested interest in their subdugation. The Irish laugh at the English, they do so because they can look at the English from an equal footing. When the English go to war in Falklands, Iraq or lately Syria, they are bemused, they see a country with an overall economic standing less than their own choosing to pour money down the drain killing people in foreign lands and make itself a target. As a Scot, I 100% agree with them, indeed envy them as Scotland is de facto, part of England and is subject to this bemusement too! Parallels with Ireland are apt, not sure if this article captures them however as it never actually states a fact, belief or opinion. Part of the british policy in both Ireland and Scotland was to divide and rule, the Scots however bought into the concept of being valued and keen members of the union during the industrial revolution and the Irish portrayed belligerent squatters. This prejudice lasted until the 1970s, indeed Ireland despite its success in the EU, was betrayed as something Scotland in 2014 should not become or aspire to, the next day the uk government is arranging state visits and claiming Ireland and the uk as equal and brilliant partners. Divide and rule is alive and kicking! Nowadays, the Scots are seen as the belligerent squatters, thankfully this position is not sustainable nor reverserable and we too will have our freedom shortly! The parallel with Ireland continue! Contrary to what you write, I don’t detect any great difference in values between Scottish people and English people and from what I know social surveys support this view. In fact, a whiff of Scottish essentialism is evident in your comment, which does ‘the cause’ or ‘your cause’ (because I’m not sure I’m part of it) more harm than good. In fact, your argument is emotional sentiments masquerading as facts. To suggest that Scotland is a colony of England when Scotland was a willing partner in the British empire which colonised half the world at one point is an insult to history and to those peoples genuinely colonised. Until we find a way of communicating with no voters which goes beyond patronising and superficial arguments about fear, media lies, etc, and engage with the fact that many people voted no for genuine reasons then Scotland is unlikely to ever become independent. You are hardly going to tell them they were complete mugs taken in promise of gold and peace whilst being sold out by those in positions of trust! Many in Scotland feel like second class citizens in their own country, this Ethan don’t tend to have their eyes closed or be benefiting from the current set up – which are you? Could you repeat that question please – I’m not being rude, I genuinely don’t understand what you are asking me? Aes RG screibs, suppression o’ leid is a guid example o’ oany colonie, an BBC/msm is a clessic example 0′ suppression o’ minoriti leid, as weel as pushin endless colonial propaganda intae fowks pusses, naw? So is the fact Scots leid n’ leeterater is lackin in the scuils an’ a’ public institushuns. Anither example is huvin a’ thon muckle heid bummer joabs taken bi fowk fi sooth whit cannae spik Scots, that’s discriminashun agin wir ane fowk, ye ken. Includes the heids o polis, media, uni’s, e’en fitba admin, civil servis, a’ media an airts an ‘ a thing aside includin evin the ceo o’ the bludy Scots perliamin. So maist o’ the twa hunner publik organizashuns in Scotland ir run bi fowk no fi Scotland – a standart colonie practis, naw? Disnae maitter wha’s bums are sittin comfie in Holyrood, Scotland is run maistly by fowk fi ootside. Anither example o’ any colonie is thit only a colonie wid iver be ‘grantit’ a devolved (i.e. wee pretendy) perliamin wi restrictet pooers onywiy. Anither is a’ the land n’ resources jist taken, wi no eavin an apologie. Anither is gaen tae warrs that we dinnae want tae go tae, an a ‘British’ foryn policie thits foryn tae us, an so oan. Anither is Governor General Mundell – jist yin Tory MP in Scotland! – wha kin stymie anythin he wants tae, an gies us wir monie back, or raither whit he think we shud huv – Mundell (an Cameron) ca’s a’ the shots, naw? Loats mair examples a’m shur o’ life in a colonie. Scotland = colonie, nae doot whatsoiver. Sae ye a’ votet Naw jist tae be a colonie! Wha’s like ye, eh? Giy few formir colonie’s, firshure, their a’ real McCoy kuntries noo, no Scotland tho’. James Kelman writing for Bella? Well done Bella, thank you James. Of course Scotland has been colonized…. James Kelman, Montaigne described Buchanan as “the prince of poets”….of course a Latin poet – another tradition we have lost – and Connolly is one of the most prescient examples of our internationalism. I live in the popular neighbourhood of Madrid – a totally divided city on class grounds; we hate each other here with a passion, and the Civil War rumbles on. We´re so close…we need a 10% swing from the voters of other parties on the Left, and then for once, for once, we will be able to put the Sons of Franco in their place…they are the scum of the earth, they have been f%cking over the good people of Spain since 1936, they have been robbing us blind…what can you say about the Madrid working class? They are the greatest people, the most generous, welcoming people in the world, they would give you the shirt off their back, they are unstinting in their generosity…they are just the best, the only ones that compare are Glaswegians and the guid folk ae Leith…. I’m doun here in Sevilla. It’s amazing in every town here in al andalus there’s a street named after Fleming and in Sevilla a bronze statue to him. Of course they honour him for saving so many lives, during the Spanish Flu outbreak, with his discovery of penicillin. It’s strange to see someone from your own country so honoured, in an everyday situation such as a street name, by town councils when in Scotters we just got a bit at primary school about him. Many years ago I worked going around villages in Aberdeenshire and in just about every one there would be a wee monument with the names of the men who went to fight against Franco in the Guerra Civil. The Scots are well loved down here. Just the one thing though. You say the Chotis is a national dance, It’s nae, It’s regional, from Madrid. Folk also say that about flamenco and it actually originates from Andalusia and nowhere else. (I work as a flamenco guitarist). Spain’s got a lot if regions! 17 parliaments!! I used to bide in La Latina and Lavapies. Madrid’s a fantastic city. Magic folk like you say. Gracias PJ…and of course, you´re dead right about the chotis. Muchos saludos, comapdre! Redgauntlet, I urge you to be a little bit more open minded to the vagaries of history. Vitriol and hatred seem to be your offerings. I knew working class Spaniards who, terrorised by the idea of Stalin and his methods, and chose to fight on the side of Franco as they thought it was the better of the two evils. The only thing they really knew which was sure, was fear. I know you are busy forging out a niche where you can understand the world from but again, I suggest you don’t categorise everyone as scum who you disagree with. This is a dead set way to make the 10 per cent of voters you want to convince a little more difficult. And, one final point, didn’t Darsie and Redguantlet want to revive an absolute monarchy to power. I wouldn’t have expected such deference from a republican. Of course you´re right about the complexities of the Civil War, and European politics of the 30´s in general Duncan, I agree with you. Often people had to fight for Franco because they had no choice, and Stalin was just as bad, I agree…but one side started it, Spanish fascism started it, Spanish fascism, backed by Italian and German fascism, overthrew a democratically elected government and plunged Spain into bloodshed and chaos, from which it is still recovering…. As for individuals, it depends where people found themselves when the coup took place, which was in the summer, in July…look at the Machado brothers, both poets….Miguel Machado was in Burgos, where the coup succeeded, and his brother, Anotnio was in Madrid, which stayed loyal to the Republic. They both ended up on different sides of the war. Antonio died in exile in France, Miguel somewhat later…but Miguel went to see Antonio on his death bed, and found a scrumpled piece of paper with some poetry written on it “those sky blue days / and that sun of my childhood…”…. The Spanish Civil War was a European tragedy. But when the Partido Popular refuses to condemn to this very day the coup of 1936, when they completely abolish all budgets for the proper burial of Republican combatants – only Vietnam has more mass graves – when the government of Mariano Rajoy passes the infamous gag law, then it is very easy to fall into the old political partisanship, because the Civil War never quite ended…. I mean Duncan, it´s hard to transmit just to what extent the Civil War still rumbles on…you know, when Rajoy´s government passed a reform to Spain´s labour laws, drastically reducing the rights of Spanish workers, one PP MP was caught on camera, in the Spanish Parliament, saying,”que se jodan, que se jodan, que se jodan..!! !.” which translates as “fck them, fck them, fck them…”….meaning working people in Spain…they hate us, and they think they were born to rule, there are significant elements of the PP who don´t believe in democracy, and the day they condemn the coup of 1936, that will be the day I stop referring to them as the sons of Franco, which is what they mostly are, I mean that literally, the offspring of the victors of a war which cost 800,000 lives and forced hundreds of thousands into exile. …the PP hate any cultural expression, and Spain´s is the country which has always forced its writers and artists into exile, from Goya to Machado to Blanco White…. …Spain is a political cauldron, the forces of reaction have always been very strong here and so have the forces of progress. The Constitution of Cadiz of 1812 was one of the most progressive of its time, and the Republic of 1936 was one of the most progressive forces of its day….anyway, you´re right about hatred being a bad thing I agree with you. Sorry, we are way off topic here and it´s my fault…. I also live in Madrid , I also support Podemos, the political de bate here is very stimulating. We need our ex-pats support we need the support of the good Spanish people,Tiogfhad ar la. Rajoy and Aznar…Spain hasnay seen two sons of Franco like those two since Mola and el Generalisimo took the high road for Madrid in 1936….hee hee hee….two “señoritos” who swapped the Blue Shirt for the blue shirt wi stripes…when La Manuela won Madrid for the Left, there were street parties…you couldnay get home…it was mental, it was raj…. Bidh a’ cheist agaibh: Càite bheil na liathchòrcran? Agus a’ mheatafiosaig loma-làn de chrom-lusan? gan tur-lìonadh le tuill agus le eòin? Innsidh mi dhuibh gach uile nì a thachair. còmhla ri gleocaichean is cluig is craobhan. am bàthadh solas an Ògmhios blàthan nad bheul? a lìon tomàto is tomàto chun na mara. agus bho sin a-mach fuil. a’ ruith gu sìmplidh, mar fhuil chloinne. viopairean a chuireadh gràin air viopairean! agus air beanntan-teine tìr a bhreithe? Why is the Scottish left so exercised by the Easter Rising ? It had little impact on Scotland. In Ireland, where it was massively important, it led to the creation of a 26 county, socially conservative Free State and a reactionary, anti-Catholic Northern Ireland. This was a million miles from the 32 country, socialist republic James Connolly hoped to bring about. Partition tends to be a strategy of imperial powers, going back to Roman times; perhaps you need to look to Westminster as to the creation of NI? In Scotland, I expect the devastation caused by WWI was a large influence on any appetite to seek change, although events in Glasgow in 1919 proved the establishment were very concerned about a revolution, sufficient for them to put tanks and 10,000 soldiers in the streets, machine guns on rooftops etc, with many people jailed. In the early 1920’s Labour were elected promising socialism, and home rule…..
”Labour were elected promising socialism, and home rule…..” They don’t have it for their own party for FFS. I’m completely disinterested, bored in the whole catholic, protestant thing, it’s the old divide and conquer by the London Ruling Elites. “ Throughout world history, the exoteric (exterior) religion(s) of state(s) have repeatedly sought to destroy its esoteric ( interior ) counterpart; in extreme cases, the texts and adherents of esoteric religion have literally been consigned to flames. Exoteric religion’s attempts to eliminate its subversive counterpart have entailed a combined process of threat, intimidation, censure, imprisonment and execution. Esoteric forms of religion allude to the God within; or the Christ within; or Krishna within; or Buddha within; or Allah closer to you than your jugular vein; or, as Sikhism would have it, ‘The One God [who] is all pervading and alone dwells in the mind’.